Chris has extensive experience in training and development, keynote speaking, and more. 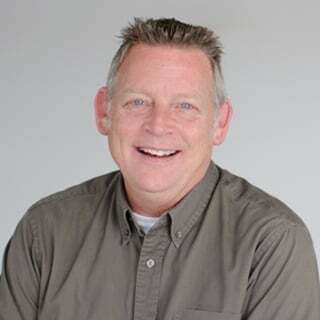 Chris Powers is a Senior Training Consultant with ERC, where he specializes in a full range of customized course offerings, customized training and development, and facilitation services. Chris’ training specialties include emotional intelligence, leadership development, supervision, coaching and communication skills. Chris possesses a strong background in engineering, business theory, business development and resource management. Chris is a highly engaging professional speaker, trainer, facilitator and coach. With more than 30 years of experience working with organizations, he has helped thousands of individuals in a variety of roles, from CEOs to front-line contributors. He has brought his passionate energy and common sense-based approach, along with real-world, real-time intelligence, to more than 500 organizations in industries such as manufacturing, education, medical, environmental, professional sports, banking, transportation, utilities and government, helping to increase the effectiveness of leadership teams, front-line supervisors, individual contributors and entire organizations. Before starting his business career, Chris served for 23 years in the U.S. Navy. In the Navy, Chris served as a Training Facilitator for the Naval Nuclear Power School. In this position he was selected as Instructor of the Year for outstanding facilitation and innovative teaching methods. He was also selected as Master Training Specialist by the Chief of Naval Education and Training, and awarded the Navy Commendation Medal for a 100% success rate in the teaching curriculum. Chris’s professional experience includes positions as Quality Black Belt for General Electric Consumer Finance, and most recently as National Sales Manager for Sunrise Equipment Company, an industry leader in the utility and forestry equipment field. At Sunrise Equipment Chris was responsible for market analysis and development, customer relationship building, and sales process improvements. Chris received a Bachelor of Science in Applied Science and Technology (concentration in Nuclear Engineering Technology) from Thomas A. Edison State College. He also holds a Master of Arts in Business Administration from Webster University. Learn about our own personal competence, how we manage ourselves, as well as our social competence, how you manage relationships and how these two work together to build our emotional intelligence. Would you like to influence others better? In a world where we have no control over anyone else besides ourselves, this informative webinar provides the latest Behavioral and Neuro science to help us understand how to treat other people the way they need to be treated. Learn how modifying our own behavior can get others to respond differently. We can’t move by just standing still. No one likes change, unless it is self-induced! Learn how the “Silent Service” changed following the Cold War. Learn to apply the old standard lessons to the pressures facing today’s organizations. Chris Powers is one of the best instructors that I have had! Chris did a great job presenting the material and keeping the group engaged. One of the best trainers I’ve ever experienced. Chris seemed to really enjoy what he was doing. After the supervisory training, I feel much closer to my co-workers and have a greater appreciation for my company for investing in us with this opportunity. Thank you!! !